Wake Forest Innovations accelerates the journey from discovery to commercialization so that important scientific discoveries can become life-improving realities. · We help transform the ideas, discoveries and inventions of our scientists and clinicians into valuable proprietary technologies and license these to industry. · We help industry to research and develop its own discoveries by providing open access to the intellectual, clinical and research capabilities of Wake Forest. Through open innovation with industry we improve health by transforming ideas, discoveries and inventions into valuable health care products. Eric Tomlinson assumed his dual responsibilities at Wake Forest Baptist Medical Center in July 2012. As chief innovation officer, Tomlinson leads Wake Forest Innovations, the division of Wake Forest Baptist devoted to the creation and commercialization of products and services arising from the inventions, discoveries and research assets of the Medical Center and Wake Forest University. As president of Wake Forest Innovation Quarter, he directs the development and operations of the Innovation Quarter in downtown Winston-Salem that is home to a diverse mix of academic and commercial tenants, with a concentration in biomedical sciences, information technology and advanced materials science. A native of England, Tomlinson earned his bachelor’s, Ph.D. and doctor of science degrees at the University of London. He has held academic appointments at four European universities and was a visiting Fulbright-Hays Scholar at Ohio State University. The author or co-author of more than 230 research publications, he co-founded the journal Advanced Drug Delivery Reviews and is a fellow of the Royal Pharmaceutical Society of Great Britain, the Royal Society of Chemistry and the American Academy of Pharmaceutical Sciences. 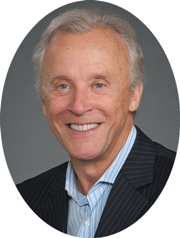 Tomlinson’s business experience includes serving as worldwide head of advanced drug delivery research at Ciba-Geigy Pharmaceuticals in Horsham, England, and as president and CEO of Somatix Corp. in Cambridge, Mass., GeneMedicine Inc. in The Woodlands, Texas, and Altea Therapeutics Corp. in Atlanta. Tomlinson also has been chairman of the Georgia Biotechnology Industry Organization and a member of a U.S. National Research Council task force that reported to Congress. CEOCFO: Dr. Tomlinson, what is the concept at Wake Forest Innovations? Dr. Tomlinson: Wake Forest Baptist Medical Center has a mission to cure and a mission to treat patients. Within that, we have three components. One is education, one is clinical service, and the other is basic science. Wake Forest Innovations has the responsibility of working with industry to accelerate the development of innovations into products and services that benefit patients. CEOCFO: Would these be ideas that are developed in your research facility that you are looking to commercialize? Dr. Tomlinson: That is right. Wake Forest Medical Center has about 1,150 clinical and basic science faculties. Clinical faculty understand the requirements of patients and from that can come creative ways of treatment and intervention; from our basic scientists come inventions and technology that we then seek to translate into a commercializable form. CEOCFO: Are there particular areas that you focus on more than others? Dr. Tomlinson: We are a broad-based academic medical center with many different clinical offerings and areas of scientific endeavor. These cover all the major therapeutic areas, particularly in cancer, diabetes, cardiovascular disease, obesity and regenerative medicine. We also have a number of unique technology areas in therapeutics - including small drugs and biological drugs, vaccines, cell-based systems and gene therapies. We are also involved in developing medical devices for which we have a medical device accelerator that enables us to rapidly turn an idea into a prototype. In addition, we have various advanced nano-science technologies. It is a very broad base of technologies that may be applied to all the critical therapeutic areas. CEOCFO: What goes in the decision of what to pursue, what to move forward commercially and what might be on the backburner at any given time? Dr. Tomlinson: We apply rigorous business analytics to each of our technologies and their product prospects. From that we apply a number of critical criteria to determine whether any particular product concept would have merit in the marketplace. It is the marketplace that decides, so the marketplace for us is clinical care and the provision of that clinical care in a cost-effective way. The criteria that we use include: market need, clinical need, time to market, cost to market, partnerability, competition and freedom to operate from an intellectual property viewpoint. These are pretty standard for industry, but applied uniquely in an academic setting. Each year we have maybe 100 new ideas disclosed to us that begin the train of activity that may result in us first seeking to protect that technology. Very few of those ideas are then translated into commercially available products, but we do engage with industry from the very beginning. We apply a model of ‘open innovation’ where we work with industry and clinical partners to show what we have at an early stage, what our science is and how that may be developed into technology that is of value. CEOCFO: How do you keep your gut feeling in check? Dr. Tomlinson: Situations like that come up all the time, particularly when you have scientific faculty and investigators in academia who have a passion for their science and a passion for developing that science into worthwhile technology. There is always that dynamic tension between that passion and the business reality. We have a whole spectrum of responses, and it comes down to the fact that there is a finite amount of investment possible. That investment has to be effective. My maxim in pharmaceutical development is: to be successful we have to fail quickly. Otherwise, we will expend a lot of money on a technology or idea that really does not have commercial sense. We have developed a pretty rigorous process of attrition similar to what occurs in industry to sort out what is commercializable and valuable. It is the transparency of that process that I think prevents that dynamic tension from becoming an antagonistic relationship. CEOCFO: What are you working on now that is the most interesting, the broadest reach or that is outside the box? Dr. Tomlinson: We have critical technologies in cancer that we are developing at the moment as well as in dealing with certain vaccines. One of the vaccines that we are looking at is against whooping cough. We have an outbreak of cases in the United States and worldwide, so scientists at Wake Forest have developed a very interesting and improved whooping cough vaccine that we believe is as effective as the original vaccine, but one which really deals with the modern condition. We are driving that one forward, and we also have a great deal of work underway in the cancer field in trying to ensure that we develop new chemotherapeutics, that are effective. We are trying to create game changers here, not just a cancer therapeutic that would improve survival for a short period of time, but one that would actually cure a certain cancer. That is very crucial to us. We have in our regenerative medicine program a great deal of work now on developing what we call a “body on a chip.” This is a use of microprocessor chips to interact with organelles and cells that will enable us to rapidly assess the impact of chemical and biologic agents on the human body without having to test these in animals. At least 50 to 60 innovative technologies being worked on here at any one time. CEOCFO: Would you tell us more about your cancer treatment programs? What is the approach you are taking? Dr. Tomlinson: For example, in our breast cancer program, which is being run by Dr. Lance Miller, who is an associate professor in cancer biology at Wake Forest Baptist Medical Center, we use a systems biology approach to understand how the immune system is affecting tumor growth and conversely how tumors affect the function of the immune system. We are looking at all the gene expression profiles or signatures in triple negative breast cancer, and we believe that could lead to gaining insights into the interactions between tumors and immune cells, which can then lead to an improved therapeutic. We are working with systems biology and with industry to try to sort out that puzzle. Dr. Miller’s team is essentially studying the gene expression profiles, the signatures, in 2,000 human breast tumors. From that work, the team has identified several immune gene signatures that reflect the ability of the immune cells to fight tumors. I think that is a pretty interesting area. In the chemotherapeutic area, two of our scientists have been very much engaged with developing a new chemotherapeutic that we call Angiotensin-(1-7). Angiotensin-(1-7) has shown great merit in the clinical arena in fighting cancer, so doctors Patricia Gallagher and Ann Tallant are in our department of hypertension and vascular research and have developed this technology, a peptide hormone made of a unique grouping of a small number of amino acids. What they have shown is that Angiotensin-(1-7), which is a natural compound normally found in the body, has remarkable anti-tumor healing powers. They have been modifying that molecule to make it an acceptable drug - one that is potent and able to be manufactured. Those are just two examples of our work. CEOCFO: Are doctors attracted to Wake Forest because of your program, commercialization and focus on following through on the research? Dr. Tomlinson: Increasingly, scientists are interested in being both scholars and innovators. As we build our academic base, which has natural turnover, we seek outstanding scientists who have an interest in also being innovators. An example is that I had a very interesting conversation earlier today with a candidate for a new senior position at Wake Forest. The candidate was overjoyed about learning about the extent of activity that we have in both helping translate innovation but also with the investments we are making in those innovations. We have several hundred inventors here at Wake Forest who we deal with on a day in, day out basis. They embrace this engine for innovation. CEOCFO: Who is typically licensing your technology? Dr. Tomlinson: We have blown up the traditional model of (passive) technology transfer and have adopted this engagement model of ‘open engagement’. What that means is a very proactive interaction with industry to learn about what their needs are and to ensure that if we are working in an area that is of interest to any one particular industry partner that we present to them a very cogent view of Wake Forest’s work, whether that be the scholarship, technology that is being developed, or even some of the specialized research services that we have. For example, we are extremely proficient here in having developed very many animal models that are predictive of human disease. As pharma, biotech and medical device companies seek technologies for their businesses, we openly engage with them and explain what we have. We just entered into a very broad relationship with a pharmaceutical device company whereby they have the ability to access many of the technologies and activities we have at a very early stage. There is no one group that is favored and we have a large number of interactions with pharmaceutical, medical device and biotech companies throughout the world. CEOCFO: What is the key to keeping everything running smoothly? Dr. Tomlinson: Like most things, it is being very exact in your language and very persistent in your description about what you are trying to do. It is having good processes and good communication. Wake Forest Innovations has about 50 people who are engaged in a variety of different activities ranging from public relations to the very erudite scientists who engage in interacting with our faculty and all the shades in between. The only way to keep that together is by bringing it together and describing to one another and to key members of our organization what we are doing. It is also having clear performance metrics that are continually being assessed and continually being used to determine whether we are in the right track, whether we need to make some adjustments or whether we need to make more investment here or there. We run Wake Forest Innovations as a business would. CEOCFO: Put it all together for our readers. Why pay attention to Wake Forest Innovations and why does it standout as an entity? Dr. Tomlinson: There are several reasons. First of all, the quite unique scholarship and collaboration here exists in areas that are central to the needs of industry where we address all the key therapeutic areas and add unique technologies to support a culture of open innovation. We have a modern way of partnering with industry to ensure the ideas and technologies we have truly can reach the marketplace. Our model of ‘open engagement’ with industry is what distinguishes Wake Forest. It is atypical of the world of academic medical centers and universities at the present. There is certainly a trend, and long may it continue.